Over the last two weeks of June we have been opening up the north end of the western bund. This was essential for us to be able to pollard two seriously overgrown crack willows there while it was still achievable. 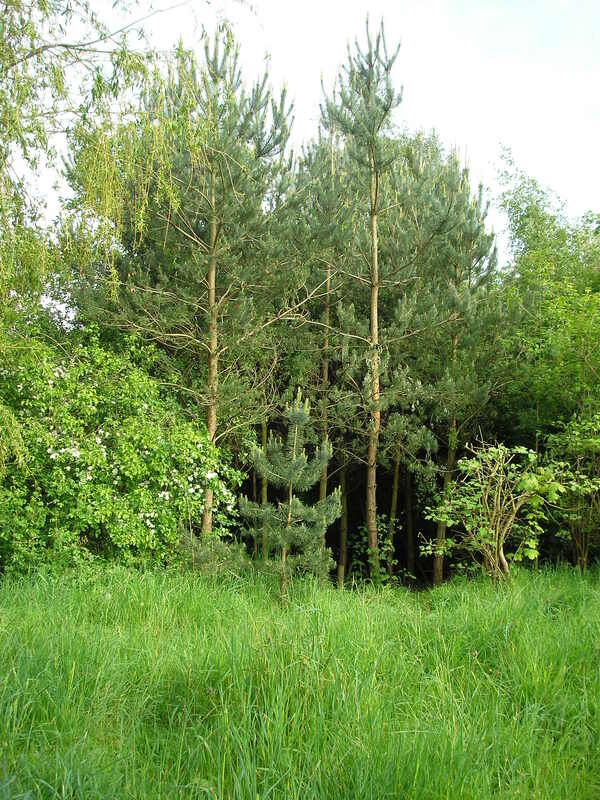 We removed a number of dead trees that were thus exposed and reduced the number of seriously overcrowded smaller live trees, while shaping the trees to be kept over the longer term and giving them better growing conditions. The mild winter and wet spring have resulted in very rapid summer growth of both trees and grasses. In June therefore MCT volunteers have spent a lot of time trimming both (after carefully checking trees for signs of bird nesting!). 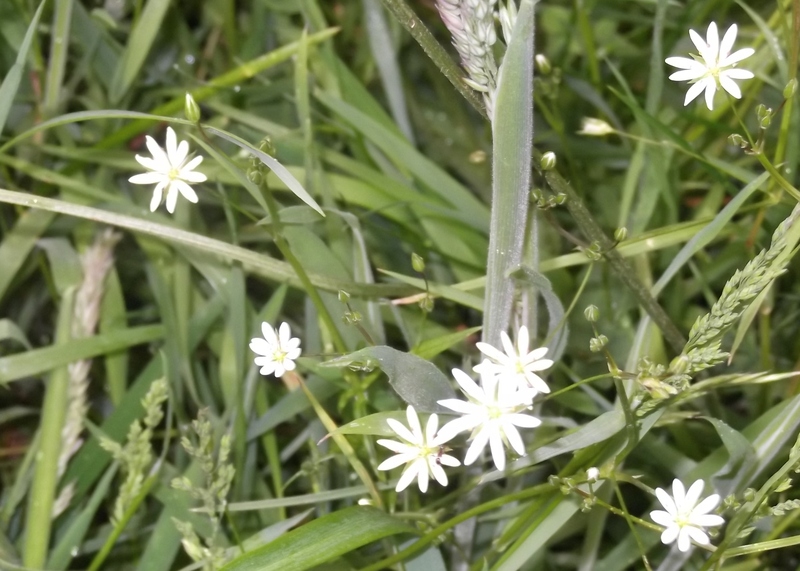 Picking June’s wild flower of the month has been a challenge too, with hot competition from the Foxgloves in the shade and Ox-eye daisies round the meadow. 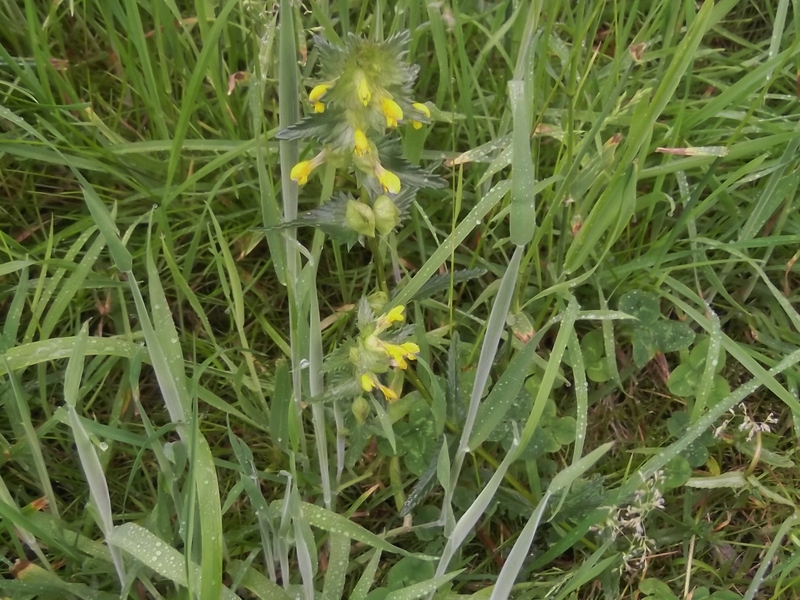 In the end we went for Yellow rattle (right), which we thought might have disappeared totally from the site, but only on current scarcity grounds; the tiny white flowers of Lesser Stitchwort with their 5 pairs of petals (left) were a worthy runner up. 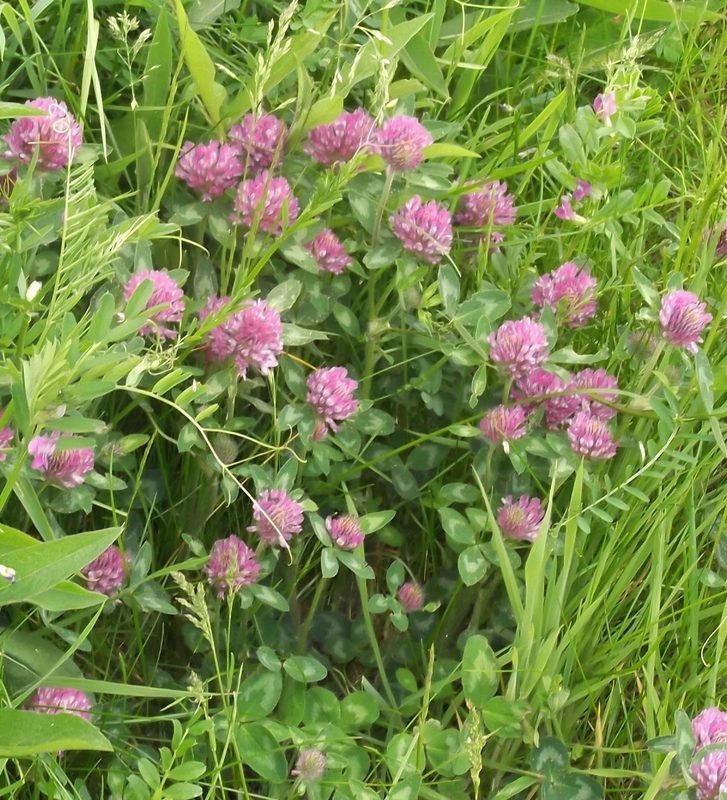 For wild flower of the Month for May we were torn between the red clover (second photo below, much improved after taking off so much nitrogen with harvested grass!) and the vetch. 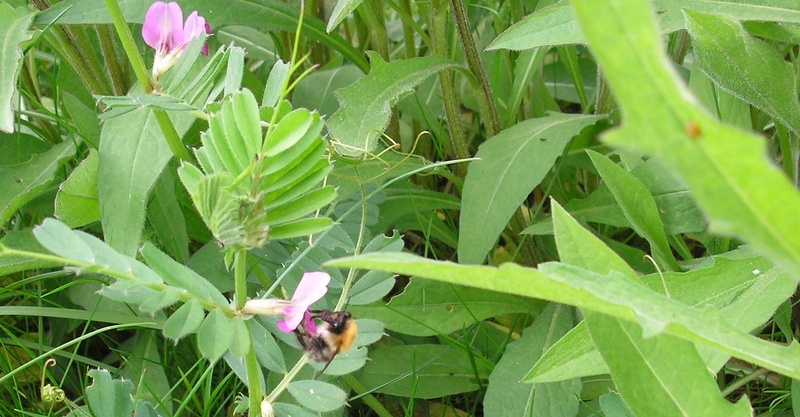 In Pam’s photo you can see the bee gave its casting vote to the vetch. It was nice at the weekend to see the attractive group of Scots Pine on the eastern bund. These were, until last week when MCT conducted a rescue exercise, largely hidden by willow, guelder rose and dead rose wood doing their best to strangle the pines. The healthy self-sown young tree at the front in Pam’s photo below should be a useful addition to this landscape feature in a few years’ time. 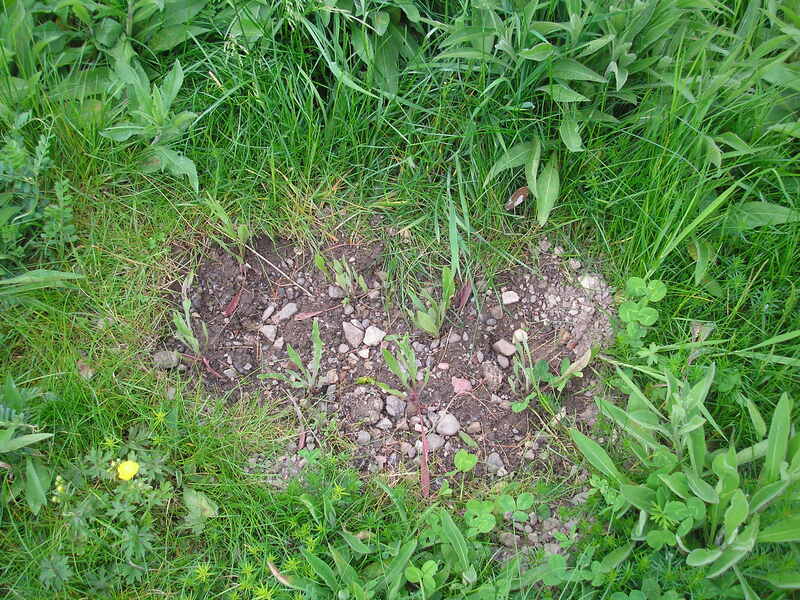 Next we will improve growing conditions for the adjacent small group of Ash trees. 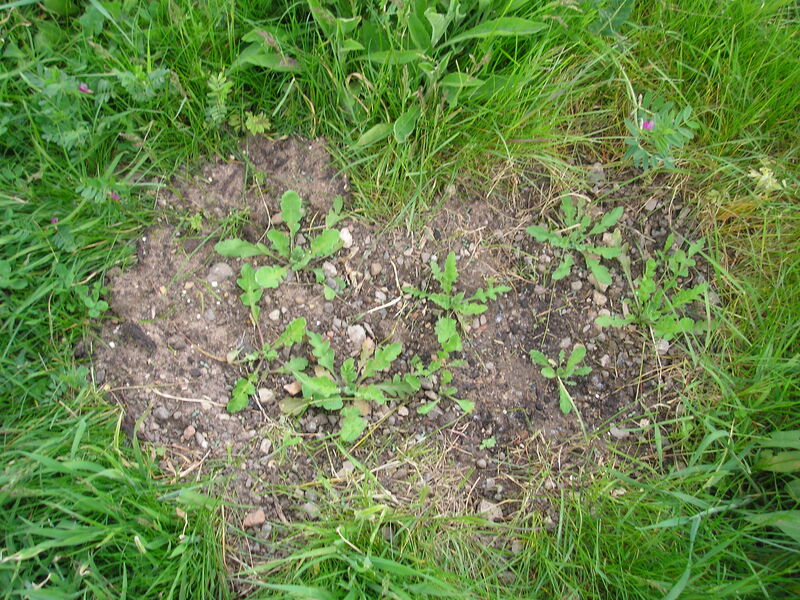 Our Third-Thursday volunteer day on May 15th allowed us to complete planting of the wild flower plug plants we had raised off site to improve biodiversity on and around the meadow. As Pam Brown’s photos below show, we tried to make the plantings inconspicuous, but hopefully you’ll notice and enjoy the fruits of our efforts in a month or so’s time. It was encouraging on May 8th 2014 to see the good germination of our grass and wild flower seed mix (6 grasses and 12 wild flower species) alongside the path at the Little Hob Moor junction where we had lowered the soil level. MCT has also been trimming back the rapidly expanding overhanging vegetation above the path there to keep the path safe, light and airy and minimize leaf and twig fall. It was not so encouraging though to see the re-emergence of Japanese Knot Weed at 2 places on the site (CYC have been informed and see photo below). 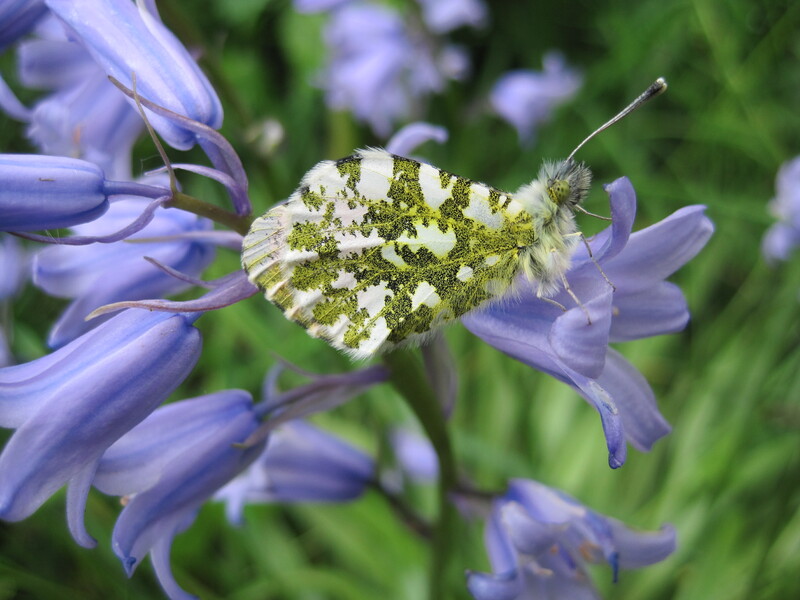 This Orange Tip Butterfly was caught on camera by Mike Ridealgh, an MCT Trustee, while walking along the path on the site on Wednesday 7th. It was surprisingly but very conveniently dormant on this Spanish Bluebell! Pam Brown kindly sent us some photos from our 4th of May Sunday volunteer day. 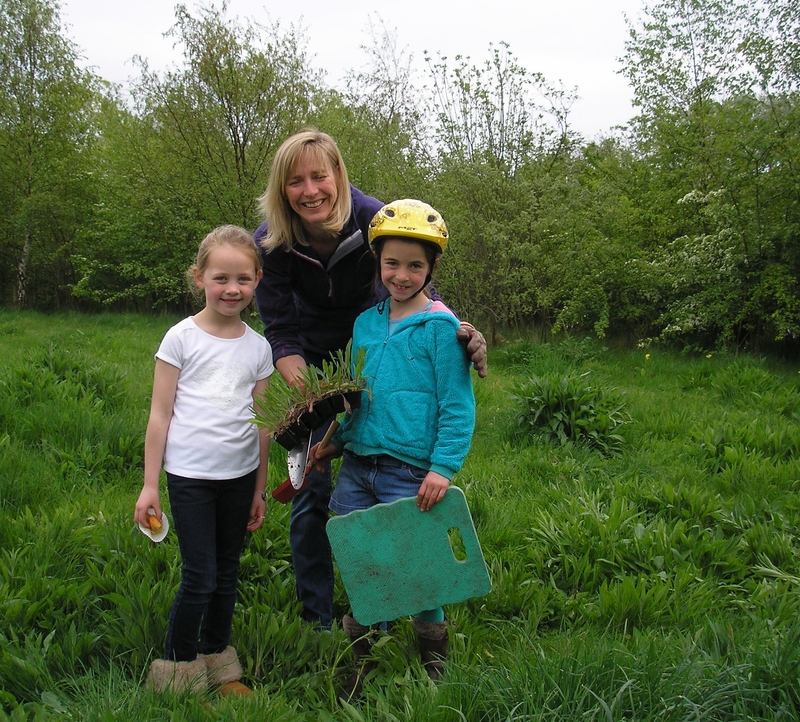 It was really nice to see how our junior volunteers shared their mum’s and grandma’s enthusiasm for planting extra wild flowers to help make the meadow more diverse and attractive. Fortified by a supply of cakes kindly brought along by Julie, our first-Sunday-of-the -month volunteers made good headway on May 4th with replacing some of the excessive growth of Knapweed and grass on the wild flower meadow with other species, including selfheal, yarrow, poppies, red campion and cornflowers. The rain in the morning was light, so the new plants had to be watered in. Thanks to Louise, Pam, Millie, Julie, Lucy, Luke and Sam for all their hard work on the very gravelly soils. Thanks too to John and Pam Wood for helping with watering our earlier planting beside the gate.